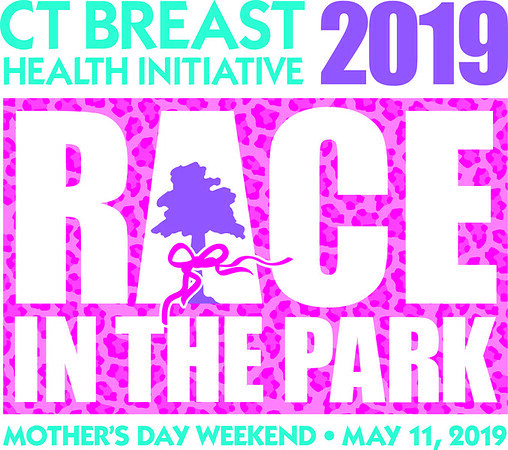 NEW BRITAIN - With a few months to go until one of the largest 5K events in the state, the Connecticut Breast Health Initiative is opening registration for this year’s Race in the Park early at a reduced price. Early bird registration for CT BHI’s 2019 Race in the Park, which is scheduled for May 11, opens this Thursday, Feb. 14. The annual event is the flagship fundraiser for CT BHI, which raises money for educational programs and research related to breast cancer. Since 2005, CT BHI has awarded more than $3.75 million to educators in researcher in Connecticut. Starting Thursday, participants will be able to purchase tickets for the race at a reduced cost of $25 for adults and $10 for kids. Reduced registration rates will be available through the end of February before jumping up to $35 and $15, respectively. Every May, thousands of people converge on Walnut Hill Park to participate in the event and donate their time and money. From activities like “Touch a Truck” for kids, a silent auction and raffle, live music and food trucks, the Race in the Park has something for everyone. New this year will be a Connecticut Artisan Market featuring local artists supporting CT BHI and the event. Before the actual 5K run, CT BHI celebrates survivors at the event with a Survivor Breakfast. During the breakfast, survivors and their families can connect with one another while also interacting with leading experts in breast cancer research and education. While it’s called the Race in the Park, the annual event offers many options for participants. The 16th annual event will have a 5K run, 4K walk, 1 mile walk and two Kids’ Challenges of 1 mile and ½ mile. Each course includes a loop around Walnut Hill Park and the surrounding neighborhoods. Anyone high school age or older can volunteer to help on the day before race day or the day of the event. For more information on the event or to make a donation, visit www.ctbhi.org . “Connecticut has been a leader in so many areas of endeavor. Connecticut invented the first artificial heart, built the first submarine and designed the first helicopter - and now, with help from our supporters, we’re aiming to lead the way in breast cancer research. The next major breakthrough could start right here,” Bray said. Posted in New Britain Herald, General News, New Britain on Monday, 11 February 2019 20:22. Updated: Monday, 11 February 2019 20:25.